Asics running shoes have been widely discussed as one of the top two running shoes available. In fact, the debate circles between Asics and Brooks on which shoe brand is better for runners. If, you’re looking to upgrade your Asics running shoes? 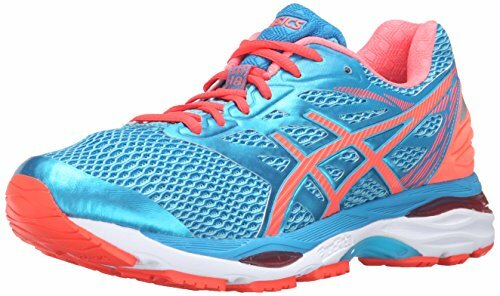 This articles gives information on the two shoes, pros/cons, and compare and contrast between the two - Asics Nimbus vs Cumulus. Did you know... ASICS is an acronym derived from a Latin phrase (Anima Sana in Corpore Sano), which translates to a sound mind in a sound body. It’s this philosophy that has guided every ASICS concept, innovation, idea, and product to deliver excellence. And as technology advances, the brand keeps on pushing the limits to achieve comfort, support, and a superior ride. There’s no question about it; the Nimbus 19 is the flagship neutral trainer for the entire brand. You can tell from the higher price tag that there’s a lot going on here. The Nimbus itself has been a flagship, high mileage trainer for ASICS for years and is generally described as an ultra-cushioned trainer. But over the years, this shoe has gone through several changes and redesigns to what you see now. FluidFit Upper: ASICS FluidFit upper technology combines multi-directional stretch mesh with stretch reinforcements that adapt to the athlete's foot, creating a truly customized glove-like fit. The CUMULUS 19, on the other hand, is an ever-reliable daily trainer that doubles as a long-run shoe built to last for miles. However, you’ll notice that the shoes stiffness and weight is not really ideal for faster workouts such as quick tempo runs and intervals. The first thing that instantly catches your attention with the Nimbus 19 is the color. They make the shoes quite eye-catching. 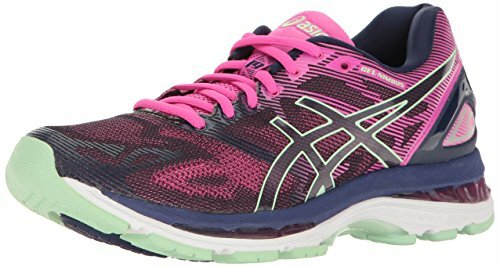 ASICS designed the uppers to be almost seamless for better performance and longevity. Likewise, the knit fabric results in breathable and soft feeling uppers. However, this breathability comes at a cost; you can expect quite a some amount of water to flow in the shoes in rainy conditions. Combined with the natural lace system, you get an upper that is both firm and reliable while not constricting your feet. With the Cumulus 19, no frills have been spared on the uppers. So while it still exhibits seamless construction just like its predecessor and the Nimbus 19, there are some notable differences. 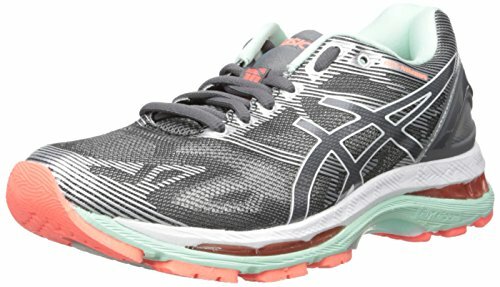 For starters, the Cumulus 19 omits the ASICS logo to allow for slightly more flexibility. Secondly, the Cumulus 19 is all about cushioning and padding even on the upper overlays. The tongue, heel counter, and sock liner are incredibly soft and forgiving even in long runs. But I did notice that the uppers hug the foot a bit more tightly making it ideal for athletes with slender feet. Now here’s where the ASICS Nimbus 19 excels. This trainer makes use of the completely new cushioning midsole known as FLYTEFOAM. For those of you who don’t know, this is ASICS’s newest tech with improved foam materials that weigh over 55% less than the average foam. What’s more, this foam has a particularly interesting springy feel to it. By combining this new FLYTEFOAM system with the old GEL system, ASICS manages to provide ultra cushioning while still keeping the weight down. And I do have to admit; the sole unit definitely has a spring as you transition through your stride. The Cumulus 19, on the other hand, boasts of cloud-like shock absorption thanks to some top of the line cushioning. That’s because while it still continues to employ ASICS good old GEL technology, there’s a secret weapon. The manufacturer incorporated FluidRide midsole to provide users with more responsiveness and a crisper ride. The outsole of the Cumulus 19 boast of AHAR rubber construction for high traction and a longer lifespan. It’s this same durability that makes the Cumulus 19 the economical choice for high mileage runners. In the end, it’s pretty apparent that the GEL Nimbus 19 is the top dog when it comes to the neutral trainer category. With their combination of the age-old GEL system and ASICS’ most advanced FLYTEFOAM midsole material, these shoes promise a lot of cushioning. But if we’re being honest, you don’t get that less weight by packing in a lot of cushioning; so yes, the Nimbus 19 definitely skimps on the padding. And ASICS definitely upped their game by adding special features on the Nimbus 19 such as Motion Fit for less pressure points on the forefoot. Not to forget the ComfortDry Sockliner that wicks away moisture to keep your feet entirely dry. But if you ask me, the fully breathable uppers have the thermoregulation issue covered. But if you’re looking for a lot more comfort and durability, then the Cumulus 19 is the trainer for you. The Cumulus is one of the most enduring series in the ASICS line up, and none is more hardier than the 19th adaptation. With the Cumulus 19, you can expect a soft, comfortable ride that is ideal for those long and demanding runs. But as explained above, the shoe does sacrifice something in the way of responsiveness. It packs a whole lot more cushioning which means more bulkiness as well as stiffness. But given the lower price range, the Cumulus 19 is still the most economical choice for high mileage runners. Both the ASICS Cumulus 18 and Nimbus 18 fall in the neural cushioning running shoes category – just like the 19th adaptations. This means that they can be worn by neutral runners and even the runners with pronators. That said, it’s evident that the Nimbus and Cumulus 18 are not running shoes designed for support and stability. Instead, they feel more geared towards comfort and a softer running experience. The Cumulus 18 is a simple, basic trainer that provides a great amount of cushioning for more comfort while the Nimbus 18 delivers unmatched softness and quite the plush ride. While eerily similar, the uppers of the Asics Cumulus 18 and Nimbus 18 still have some substantial differences, especially in construction. Both these shoes come with the famous no-sew overlays that not only decrease irritation points, but also increase comfort levels substantially. However, the Nimbus 18 has narrower overlays that the Cumulus 18. For an even deeper analysis, we dissect these two shoes here. But while the overlays are narrower in the Nimbus 18, ASICS spread them over the uppers so you get a more glove-like fit. That said, people with wider feet will appreciate the Cumulus 18 since not only do you get more toe room, but the overlays stretch along with the mesh for a more custom fit. Here’s another area where both these shoes differ completely. While both these 18th adaptations posses similar two layered GEL cushioned midsoles, the Nimbus takes things a bit further. Nimbus 18 comes with an external heel counter that offers extra support around the heel. Similarly, I noticed that the Nimbus 18 exposes far more of this GEL cushioning in the forefoot than the Cumulus 18 does. This is a very clear indication of the amount of cushioning we can expect from both these shoes. But studies have shown that the extra 3mm of height on the Nimbus is engineered to take stress off women’s heels. Lastly, both these adaptations come with the Guidance Line vertical flex groove that helps you achieve efficient and smoother gait. They also contain a midfoot shank that helps maintain integrity and support under the midfoot. 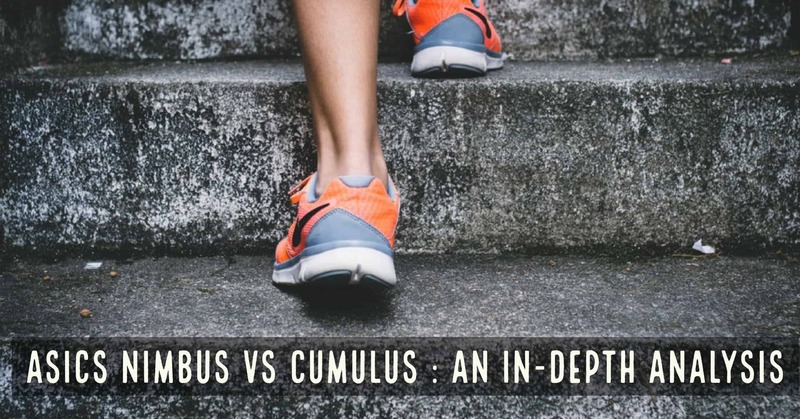 Interestingly though, the lack of excess cushioning makes the Cumulus 18 far more stable and flexible than the Nimbus 18. Guidance Trusstic System Technology: This Trusstic System integrates Guidance Line construction for enhanced gait efficiency while providing midfoot structural integrity. Guidance Line Midsole Technology: Vertical flex groove decouples the tooling along the line of progression for enhanced gait efficiency. FluidRide: FluidRide provides the ultimate combination of bounce back and cushioning properties with reduced weight and exceptional durability. FluidFit: ASICS FluidFit upper technology combines multi-directional stretch mesh with stretch reinforcements that adapt to the athlete's foot, creating a truly customized glove-like fit. t’s evident that the Nimbus and Cumulus 18 are not running shoes designed for support and stability. Instead, they feel more geared towards comfort and a softer running experience. 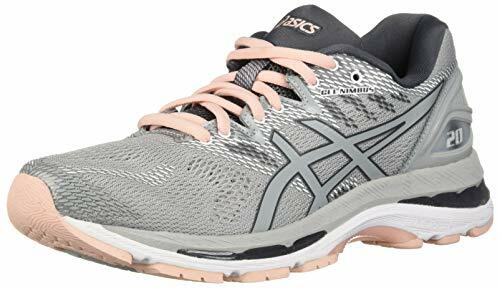 The biggest difference between the two 18th adaptations of ASICS is that the Cumulus 18 is a simple, basic trainer that provides a great amount of cushioning for more comfort while the Nimbus 18 delivers unmatched softness and quite the plush ride. Simply put; the Nimbus 18 is engineered for more of a luxurious, comfortable feel while the Cumulus 18 is meant to provide an almost minimalist, basic feel. Asics vs Saucony - Which Shoe Brand is Better?